Jesse James, one of the most violent outlaws of the wild west, got his first taste for violence as a Civil War guerrilla fighting for the Confederates. Although he came to be known as one of the most dangerous bandits of the west, James started out his life as a religious, peaceful farm boy who seemed destined for a career as a minister, like his father Robert, who died in California while preaching to gold miners. Those plans changed when the Civil War broke out in 1861 and brought chaos to his sleepy hometown of Kearney, Missouri. As slave owners with six slaves working on the family hemp farm, the James family sympathized with the Confederate cause. Born in 1847, Jesse was too young to join the army and begrudgingly stayed behind as he watched his older brother Frank leave home and join a group of Confederate guerrillas known as Quantrill’s Raiders, run by outlaw William Quantrill. The war soon came home to Jesse when his brother’s activities in the gang led the Union army to the James farm. Looking for information on Frank’s whereabouts, the soldiers beat Jesse and tortured his stepfather. Historians believe this violent experience is what pushed Jesse to join his brother and the gang, at just 16 years old, in the spring of 1864. Led by “Bloody Bill” Anderson, the gang was made up mostly of wealthy, slave owning families seeking to protect Missouri from the anti-slavery Union ideals. They terrorized anyone who sympathized with or supported the Union army in Missouri. During a raid in the summer of 1864, Jesse was shot in the chest but recovered in time to take part in one of the bloodiest atrocities of the Civil War: The Centralia Massacre. Described by witnesses as a “carnival of blood,” the Centralia Massacre was a raid on the small Missouri town of Centralia. While the gang was looting the town and murdering anyone who protested, a train pulled into the center of town with 21 unarmed Union soldiers on leave from the army. Anderson and his men quickly stripped the soldiers of their clothing, so they could use them as disguises, and shot them dead. Nearby Union troops caught wind of the violence and headed toward the town to put an end to it. The gang set up an ambush, captured and then killed all 150 soldiers. Jesse himself was credited with killing Union major A.V. E. Johnson in the massacre. Many of the soldiers were beheaded, disemboweled and slowly tortured. After the violence was over, the gang then proceeded to mutilate and scalp the bodies. 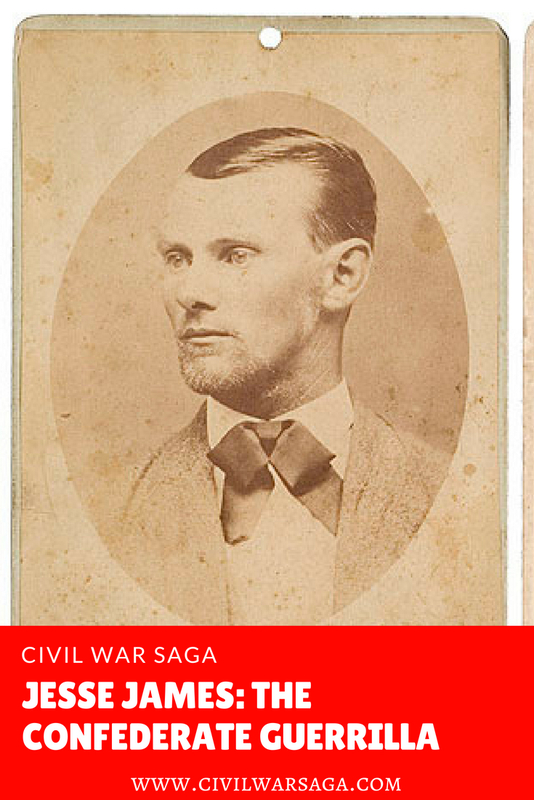 Anderson died a few weeks later after he was killed by members of the Missouri State Militia and most of the gang returned to quiet civilian life after the Civil War ended, except for Jesse and his brother. Still angry over the defeat of the Confederate army, the brothers vowed to continue fighting. The James brothers began robbing banks, including a bank owned by the man they believed killed Anderson, and murdered him on the spot. 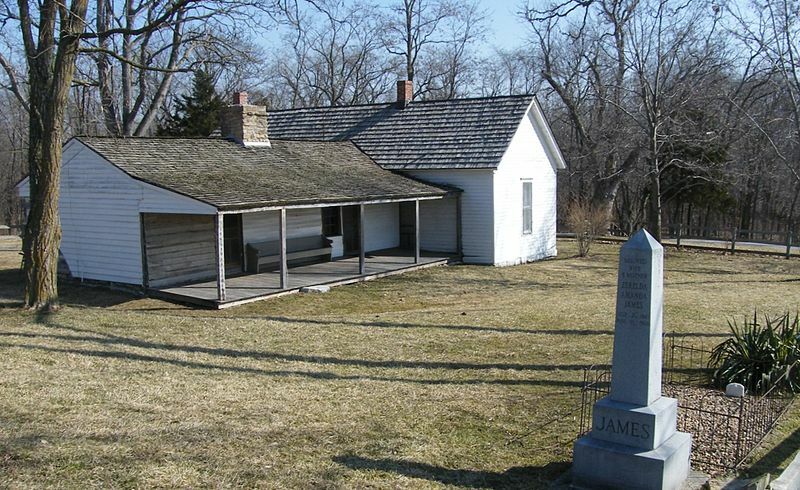 James and his men eventually ran into trouble after a robbery in Minnesota in the summer of 1876 turned deadly and two members of the gang were killed. The James brothers went into hiding but Jesse eventually became restless and started another gang. Jesse met his end when two men in his group, Robert and Charley Ford, decided to kill Jesse hoping to collect the reward Governor Crittenden had placed on Jesse’s head. Robert Ford killed Jesse James on April 3, 1882 by shooting him in the head when his back was turned. The Ford brothers later stood trial for murder but were pardoned by the governor. Anything Bloody Bill Anderson did, the Kansas Redlegs did also. Slavery being legal under color of law, Kansas freebooters had no business attacking Confederate sympathizers just for the sake of a belief; and that’s all it amounted to. Quantrell and Anderson fought back.